Rio Deep Pore Cleanser uses micro-current technology to cleanse, moisturise, and refresh, to give you fresher, healthier looking skin every day. Deep Pore Cleanser features four treatments: Deep Cleanse, Preparation, Moisturising and Refresh for the ultimate beauty regime. Rio Gentle Facial Cleansing Gel is an essential element of your Deep Pore Cleanser beauty regime. Enriched with natural skin conditioning agent Vitamin E and healing aloe vera, the lightweight, smooth gel works to cleanse, soothe and refresh your face and neck area. 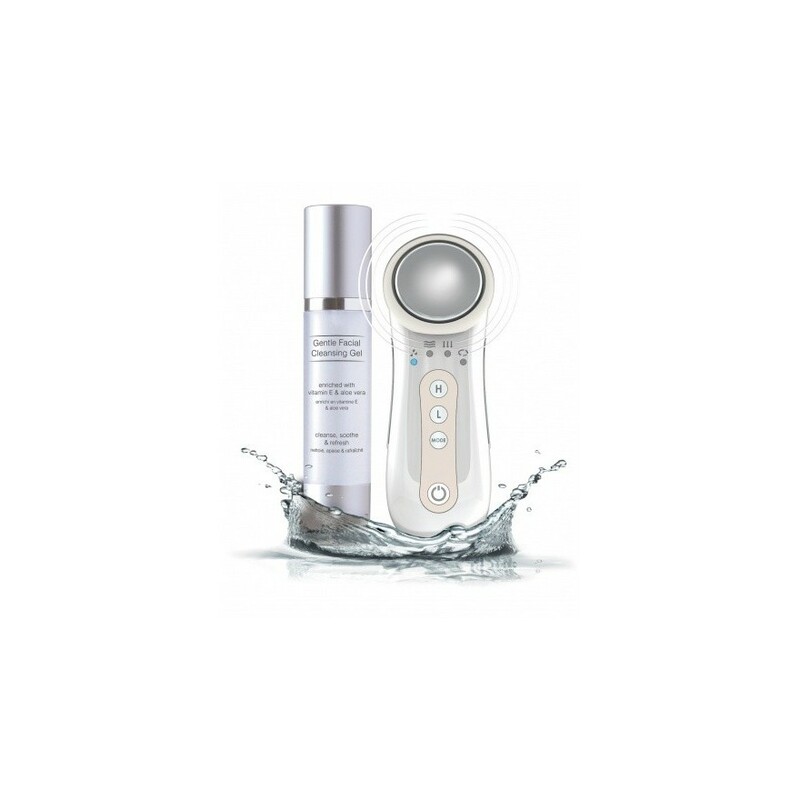 Rio Deep Pore Cleanser harnesses the power of Galvanic technology which has been used in beauty salons for many years to hold back the signs of facial ageing. Faradic technology is a form of Electrical Muscle Stimulation (EMS) which gently tones the facial muscles to rejuvenate the skin. 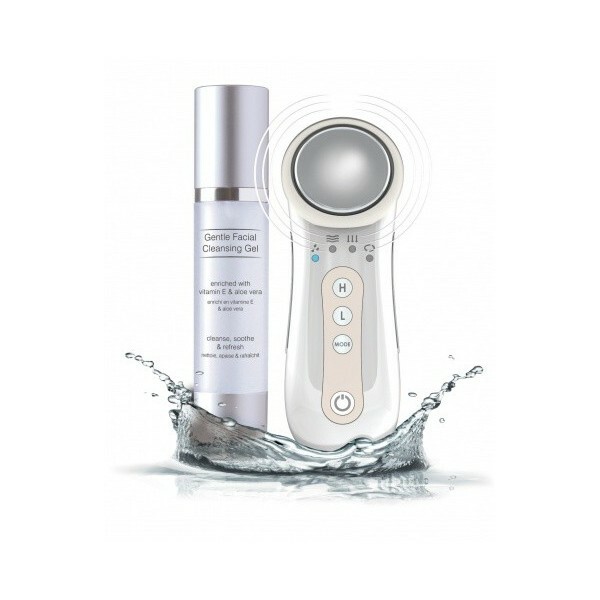 The deep cleansing treatment uses a process known as Desincrustation which works by softening sebum and then drawing out impurities from the skin, removing deep down dirt so that you can really feel – and see the difference. 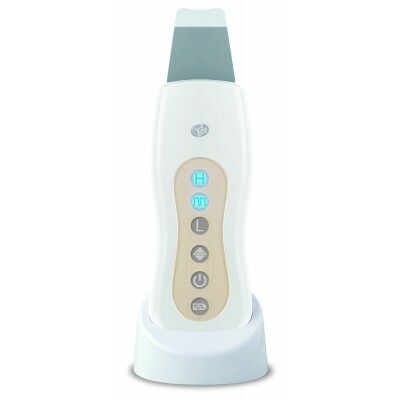 The moisturising treatment then uses Iontophoresis – an infusion treatment which pumps active ingredients back into the skin. 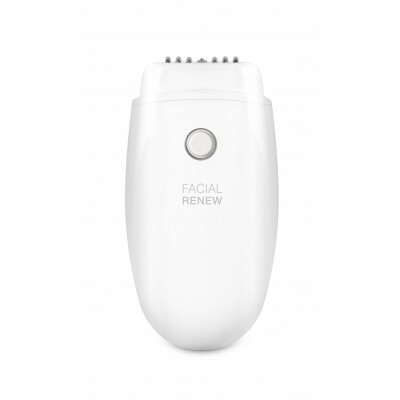 As the Deep Pore Cleanser is working, you may feel a gentle tingling sensation on certain areas of the face, as well as the treatment head vibrating. Some users experience more sensitivity than others, and this can also vary on the left and right side of the face. High and Low power levels are available. For beginners or those with sensitive skin, Low (‘L’) is recommended. Rio Deep Pore Cleanser features four treatments: Deep Cleanse, Preparation, Moisturise and Refresh - for the ultimate skincare regime.